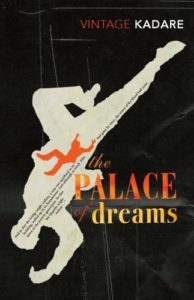 “In 1981, when The Palace of Dreams was published in Albania, Ismail Kadare was the country’s pre-eminent writer and President Enver Hoxha was in the process of ridding himself of a Politburo rival Mehmet Shehu (later said to have ‘committed suicide at a Central Committee meeting’). ‘The country was full of plots,’ wrote Kadare, ‘the book was immediately banned and I was forbidden to publish for 10 years.’ He later went into a voluntary two-year exile in Paris, exasperated with the Communists’ belated and inchoate reforms. More a loyal irritant than a Havel, he had published half-a-dozen allusive novels during the Hoxha years: a one-man national literature. But it’s not hard to see how this one went too far for the commissars. Unlike the mechanised systems of Orwell’s Ministry of Truth or Zamyatin’s Bureau of Guardians, the endless corridors and offices of the Tabir Sarrail—the state’s most secret nerve centre—deal in manuscripts. Dream jottings are gathered on horseback from all corners of a version of the Turkish empire. By the anonymous thousand, cowed scribes ‘who had probably never even realised that the room they worked in actually had windows’ sift and analyse each contribution. Every week the Office of the Master Dream selects a single emblematic manuscript and relays it to the Sultan; the rest are consigned to the archives which stretch under the whole city. 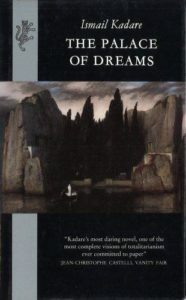 “Without Kafka, no doubt, the Albanian poet and novelist Ismail Kadare would never have written The Palace of Dreams. We are dealing not with a debt, though, but an inheritance. As an allegory of power, Palace is flawless. But into its terse geometry, Kadare has infused a historical and intensely human sadness. Three overlapping imperial tides—the Ottoman, the Slavic and the Western—have for centuries washed over one tiny and obscure nation. Yet Kadare’s remote Albania flickers continually through the metropolitan capital—a partly mythical Constantinople—where the book is set. Only one candle-power strong, but a single candle that is enough to project the shadows of a universal history of power. “At the end of the war, the nine-year-old Ismail Kadare and the thirty-six-year-old Hoxha were approaching each other like two dark dots on a snowy landscape, still miles apart but steadily converging on the same frozen lake. 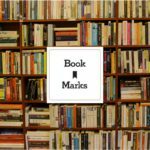 “Chronicle in Stone represents an act of political resistance, of the cunning, subtle kind that allowed Kadare to survive Hoxha’s regime, even as some of his books were banned. 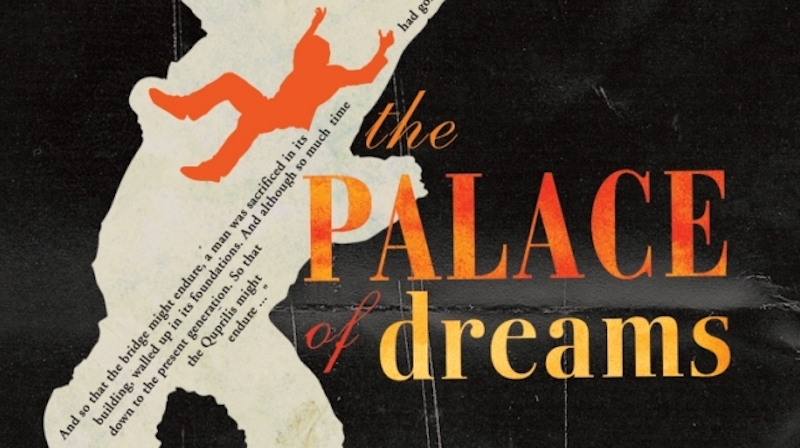 The Palace of Dreams, published in 1981, and more obviously antagonistic, is one of those censored novels. (Although, in an absurdist twist, the book was banned two weeks after its publication, by which time it had sold out.) Like many of Kadare’s books, it is set in an imprecise past shaded by myth, but lit by the glare of totalitarian thought control. 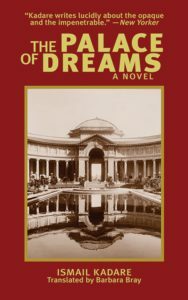 The Palace of Dreams is the most important government ministry in the Ottoman Empire, where bureaucrats sift and decode the dreams of the empire’s citizens, all of them working to find the Master Dreams that will help the Sultan in his rule. 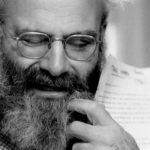 The novel’s hero, who comes from a prominent political family, rises through the ranks of the ministry; yet he cannot save his own family from political persecution—indeed, he unwittingly precipitates it. Enver Hoxha’s censors must have known at once that this surreal dystopia vividly conjured up, in carefully deflected form, the secret-police apparatus of modern Albania.